Stake your claim in Ponderosa Park! One of only ~240 homes in a National Forest inholding that used to be a mining claim. Ponderosa Park, established in 1884, is surrounded by tall ponderosa pines and winding dirt forest service roads. Only 4 miles to downtown shops, restaurants, events! 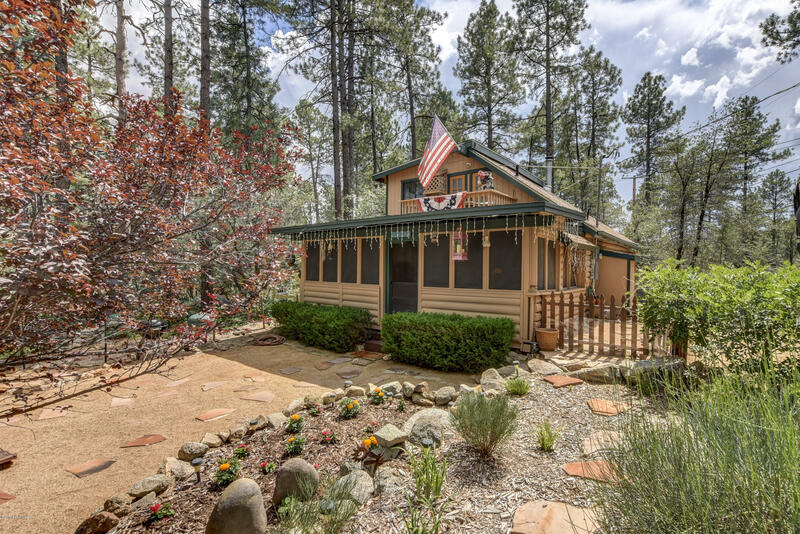 This furnished, cozy 880 sf, 1 bedroom, 1 bath true log cabin makes a perfect setting for a rustic get away in the pines, cute starter home or an amazing VRBO! Featuring bamboo wood floors, lots of windows, and a cozy wood stove,plus a screened in porch for 3 season entertaining! Plenty of entertaining space outside as well, with deck/BBQ area, fire pit zone, and extra parking-plus RV parking/electric hookup!